There are many reasons to livein beautiful southwest Virginia! You will Enjoy discovering this beautiful mountainous foothills region of Virginia because it is not as crowded as the mountains of North Carolina, but our APPALACHIAN BLUE RIDGE MOUNTAINS are every bit as beautiful! There are numerous city Green-ways in Roanoke for mountain biking & hiking trails at Carvins Cove, meandering rivers to canoe/kayak, 2 gorgeous Lakes with 600+ miles of shoreline, peaceful Valleys, and many area award-winning venues: wineries/craft breweries, museums, memorials for D-Day & Thomas Jefferson, snow skiing resorts, festivals or just relax while taking the AMTRAK passenger train to Washington DC for the weekend. REG ANDERSON, ABR, GRI - My 18 year real estate business is built with an emphasis on Personal Relationships based on mutual trust and referrals from mysatisfied clients. A full-time Professional REALTOR specializing in Retirement orVacation homeproperties at the lakes, or country-homes out in our rural counties...Beautiful, low-cost-of-living for Retirement or simply a better QUALITY-OF-LIFE. I would be very grateful for your business, and greatly appreciate your kind referrals! "Integrity and Care are my Pledge - Call REG"
""There are few words to describe the dedication, commitment, and professionalism Reg demonstrates when he is helping one sell or buy a home. We have been working with Reg since 2003 when he sold us our first Townhouse at the lake. 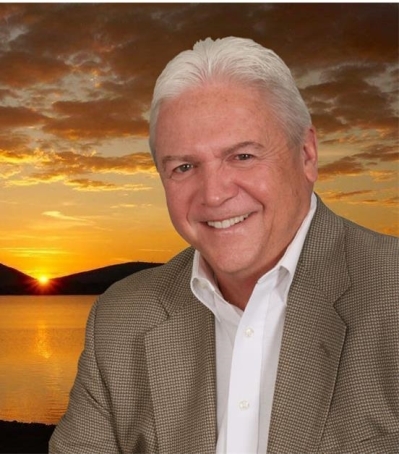 He has helped us Buy & Sell several more properties on SML, and we can honestly say that he has more integrity than any other Realtor we have known. He is forthright and honest and will never lead you astray. If you are considering Buying or Selling property at SML, I strongly recommend that you give Reg a call. It will be the best phone call you will ever make.”	. " "“If you are considering working with Reg Anderson in either the buying or selling of property, Congratulations, you are in good hands. We could not have asked for a more competent professional or a more pleasant, accommodating person with which to work.” "
"“If Reg hadn’t guided us, we would still be looking for a lake home. He cares about your wants, desires and ability to make SML the place to buy a home. Going over and above anything you’d expect from a REALTOR, Reg truly represented our best interests. We will not make a move without his help. He not only was our Realtor, but also became our Friend. Thanks, Reg, for helping us realize our Dream.” "